We are offering Promotional Roll Up Standee to our clients. 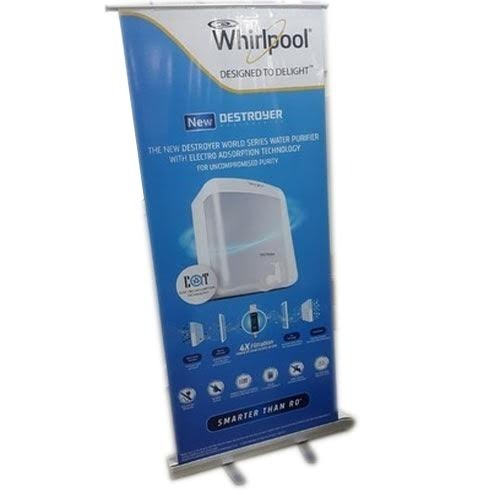 Incepted in the year 2000, Anugrah Arts Private Limited is ranked amongst the renowned manufacturers of an exceptional quality array of POP Display Stand, Display Boards, Promotional Tents, Display Stands and many more. Manufactured in conformity with industry laid standards using superior quality raw materials and contemporary techniques, the provided products are highly demanded and regarded amongst our customers for their light weight, compact design, superb quality, sturdiness, less maintenance, longer service life, perfect finish and elevated durability. We are also engaged in service providing of Standee Printing Service.